KEVLAR FOR K9’S RAFFLE TICKETS. Help us make a real difference in protecting these brave K9s, who often do jobs considered too dangerous for human officers. 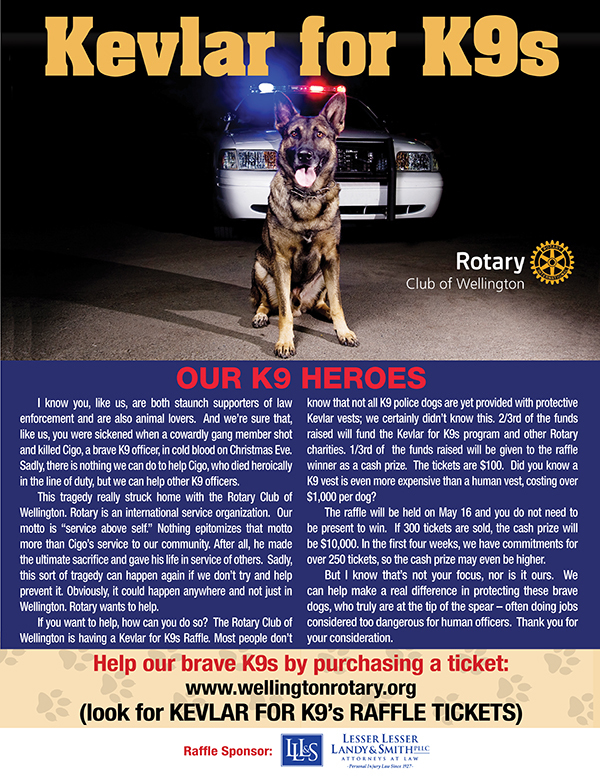 *Two-thirds of the total collected goes to the Kevlar for K9s program and other Rotary charities; one-third of the total collected goes to the raffle winner.